Jacksonville Hair Restoration Center is located at 10151 Deerwood Park Blvd. Bldg. 200, Suite 250 in Jacksonville, Florida. Our facility is equipped with the most advanced technology available for hair transplants in Jacksonville, so our patients receive the best care and results using the least invasive technique for hair restoration: NeoGraft®. * All of our hair transplants are conducted in office at Jacksonville Hair Restoration Center. Our center is dedicated to accommodating you for your comfort and convenience. 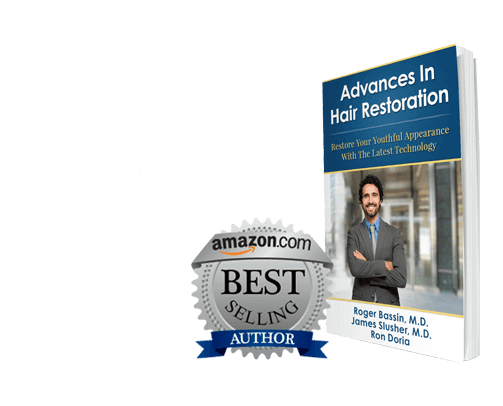 Although the basic procedure for hair restoration is relatively the same for all patients, the individual details, such as hair placement, the shape of the hairline, and the location of harvested follicles, are developed on an individual basis. Our doctors will discuss the best treatment plan for your hair transplant during the initial consultation. Every patient’s hair thickness, thinning location, and expectations vary. These differences will dictate the best treatment plan for your individual hair transplant in Jacksonville. At Jacksonville Hair Restoration Center, we understand the struggle patients may have attempting to justify the risk of cosmetic treatment with cosmetic improvement, but Jacksonville Hair Restoration Center’s innovative technology for hair replacement is minimally invasive and puts patients at less risk than traditional hair restoration techniques. * You too can enjoy thicker hair and a more attractive hairline by contacting Jacksonville Hair Restoration Center and discussing how NeoGraft® can help you today!